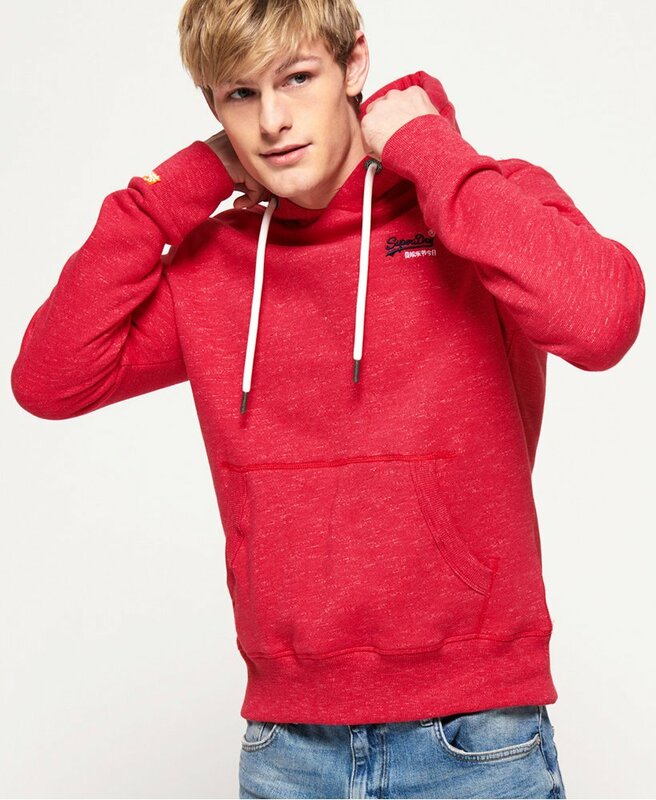 Superdry men's classic overhead hoodie from the Orange Label range. This hoodie features a drawstring hood, front pouch pocket and super soft lining on the inside for your comfort. The hoodie is completed with an embroidered Superdry logo on the chest and logo tab on the cuff. Style with ease by pairing with jeans and trainers.